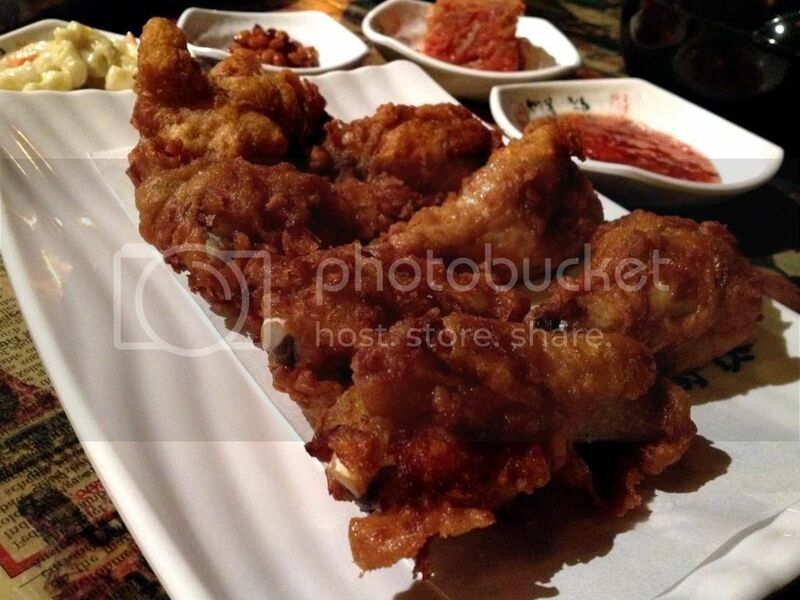 So, The Boyfriend and I were on a quest to find the best Korean Fried Chicken... or at least something that would tickle our fancy! I'm sure many of you are familiar with Gami chicken? No introduction needed - so I'll cut to the chase. Having tried all 3 of the original, sweet chilli and sweet soy garlic over my couple of visits, I have to say the sweet soy garlic stands out most! The original is nice but can get a bit too dry. As for the sweet chilli version, well, both the Boyfriend and I aren't fans of chilli so we're somewhat biased... so if you like your food spicy, I'd say give it a go! They have 3 branches around the CBD. I've tried both the Little Londales and Healeys Lane brunch - both are equally consistent. However the Healeys Lane branch is much smaller, so if you've got a big group, highly recommend you try the Lt. Londales branch. I've blogged about them before, you may read my full review here. Unlike many who deemed this the best they've had, The Boyfriend and I felt like it did not hit the spot. It had a good crunch, no doubt about that but we both felt like it was lacking an "oomph" factor. Also, unlike other places, the soy and garlic KFC here at Hudadak wasn't too sweet which I guess is good for you. It was such a bummer that they didn't allow us to order half a serve so we had to order one whole chicken ($30) for two. So yeah, we didn't get order to anything else that night. Would I return? Most probably not. Thanh recommended that I try this new Korean joint, Meega which is a small, hidden shop located behind a Korean grocery store in Glen Waverly. 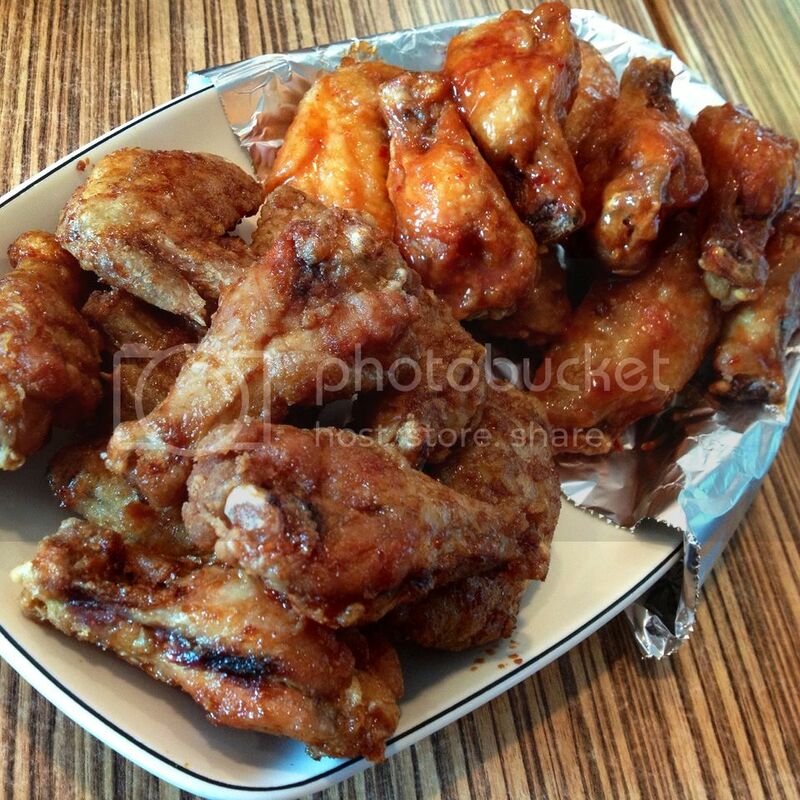 The Boyfriend and I ordered a large serving ($26) with approximately 18-20 pieces of wings/drummettes, and opted for a mix of soy & garlic and sweet chilli. Meega's KFC is slightly different to the original version without the crunchy layers of batter but still, it was really really good! The soy & garlic was a tad too salty for my liking, but the sweet chilli was spot on! 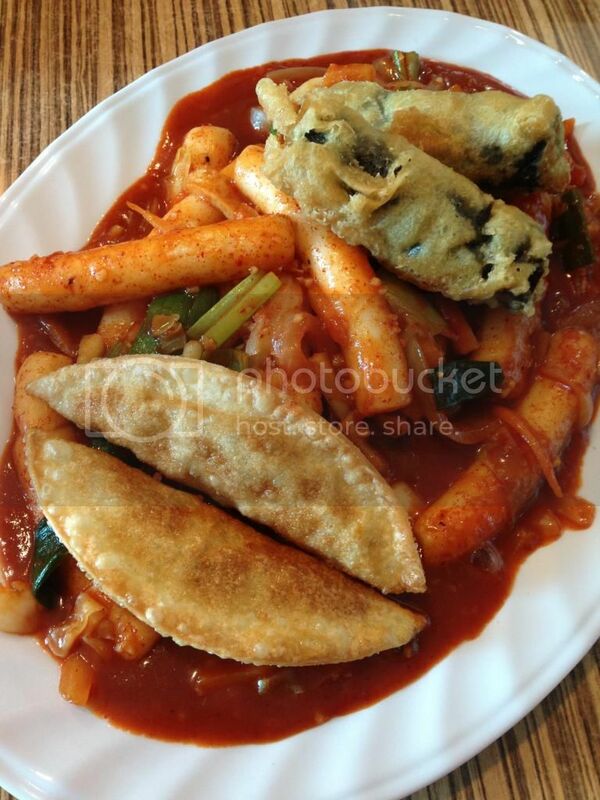 We also ordered the fried tteok-bok-ki special which was spicy, but super yummy! I particularly like the addition of the fried vegetable dumplings and more so the japchae wrapped in fried seaweed. A definite must-have! 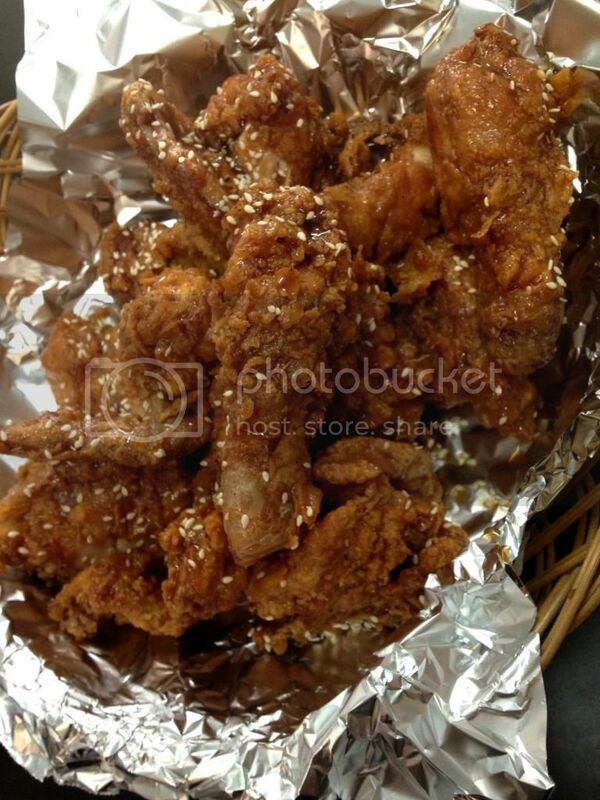 As much as I love Joomak, unfortunately I cannot say the same for their KFC. Joomak's version taste very different. The batter is crunchy but I find Joomak's KFC taste more like Chinese inspired fried chicken, and surprisingly served with sweet chilli sauce too. 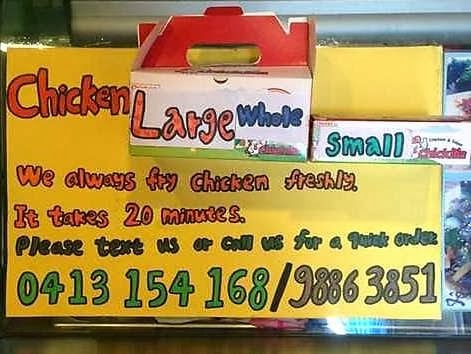 I mean it's not bad tasting, just not like KFC. Also, I find the chicken forever boney (like no meat one) - maybe they only buy skinny chicken? I don't know. But their pork, corn cheese, stew, egg roll and (the list goes on) are super yum! I promise I will try to blog about this hidden gem that both The Boyfriend and I love so much! Would I return? Hell yes, for the rice wine and other yummy stuff. And maybe if I'm missing my Mum's fried chicken. Given the positive recommendation from our friends and the raving reviews I've read on Urbanspoon, The Boyfriend and I decided to give Chimac a go. But unfortunately for us, we didn't enjoyed it as much as everyone else did. 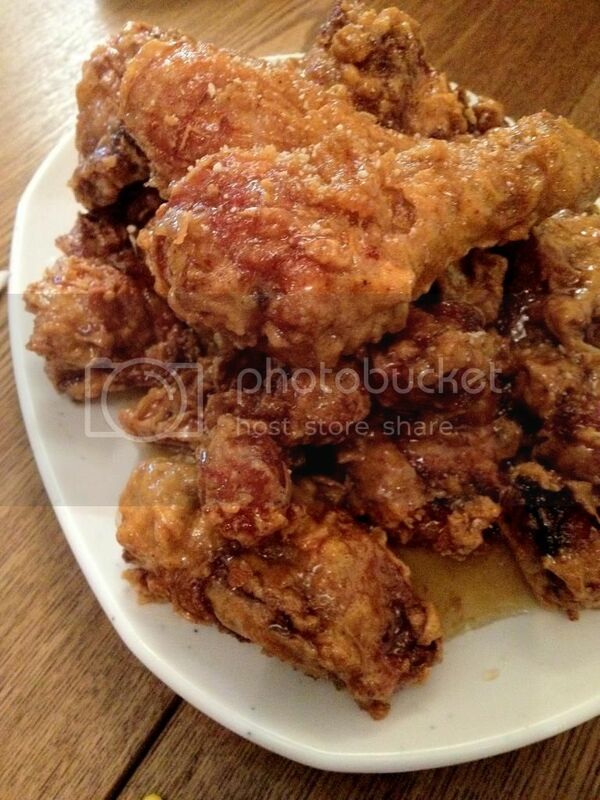 The soy and garlic Korean fried chicken was tasty, but not as crispy as I'd like them to be. My friend loves the original KFC, maybe without the sauce it would have been crunchier. I also found the portion size to be smaller even though they are priced almost the same. The other dishes that we tried were mediocre so I guess I will most probably not return. Read my full review on Chimac here.